IOTD …. 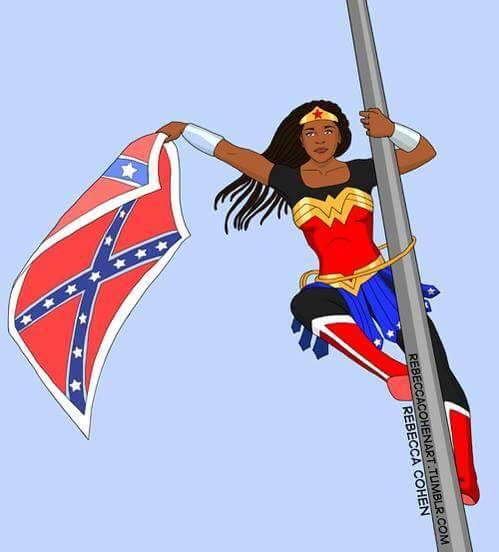 “Image of the day, #276: “#FreeBree …. Wonder Woman”!! An activist group claimed responsibility for taking the flag down. Witnesses said two people were arrested by authorities almost immediately after one of them scaled the flag pole on the north side of the State House grounds and pulled the Confederate banner down. The state Bureau of Protective Services confirmed it had arrested two people at the State House about 6:15 a.m. Those arrested were Brittany Ann Byuarim Newsome, a 30-year-old Raleigh resident, and James Ian Tyson, a 30-year-old Charlotte resident. They are charged with defacing state property, a misdemeanor that carries penalties of up to three years in prison or a fine of up to $5,000 or both. To some “Bree” is a hero. To others, she’s an enemy. To some she’s expressing her freedom of speech. To others she’s insulting their heritage. I know what she is to me. You decide what she is to you. Something to think about ….. “The First Memorial Day”!! 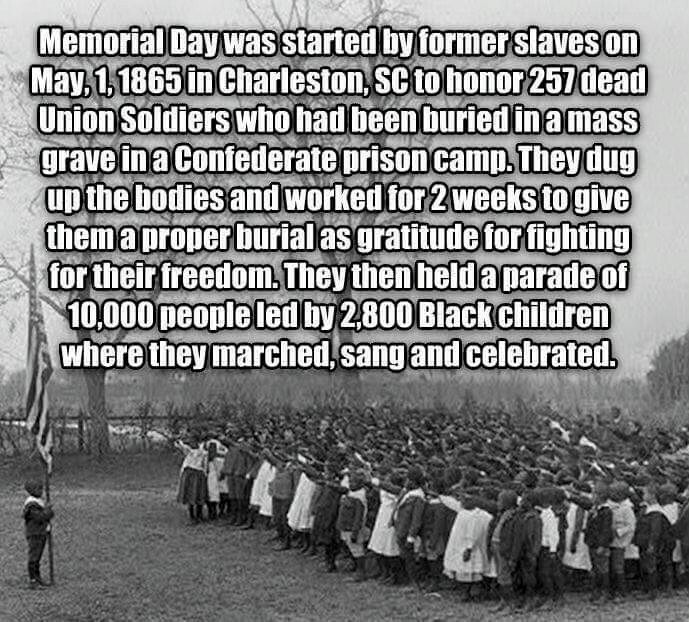 As we pause to remember the nation’s war dead, it’s worth remembering that Memorial Day was first celebrated by Black Union troops and free Black Americans in Charleston, South Carolina at the end of the Civil War. As historian David Blight recounts in his masterful book, “Race and Reunion: The Civil War in American Memory” (2001), Charleston was occupied by Union troops in the spring of 1865, most white residents having fled the city. In this atmosphere, the free Black population of Charleston, primarily consisting of former slaves, engaged in a series of celebrations to proclaim the meaning of the war as they saw it. The height of these celebrations took place on May 1, 1865, on the grounds of the former Washington Race Course and Jockey Club, an elite facility which had been used by the Confederates as a gruesome prison and mass grave for unlucky Union soldiers. Following the evacuation of Charleston, Black laborers had dug up the remains of Union soldiers, given them a proper burial, and built the trappings of a respectful cemetery around the site to memorialize their sacrifice. 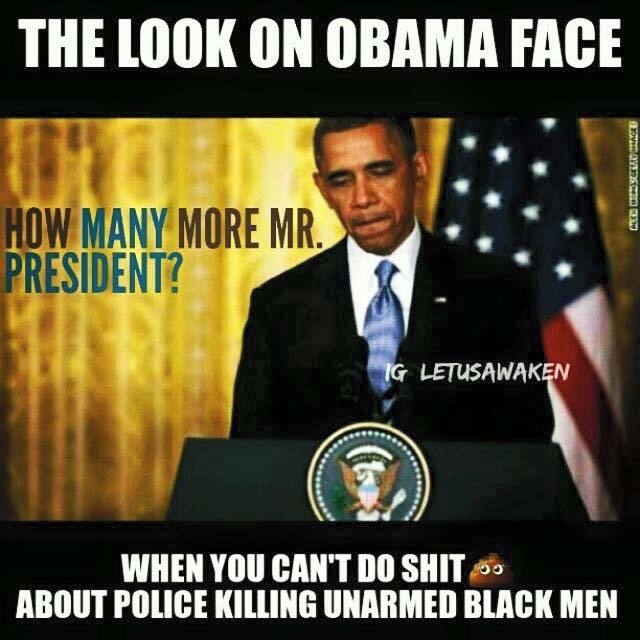 I used to be an ObamaCrat and follow Barack blindly, but Ferguson Missouri and the murder of Michael Brown, changed my views of Barack Hussein Obama. The President’s total lack of attention, he didn’t pay, to a rash of incidents involving the systematic genocide of Black Americans right here at home by racist AmeriKKKan law enforcement, made me realize Barack didn’t deserve my blind commitment. AmeriKKKa can’t fix the world when freedoms and liberties are denied daily to America’s citizens. Bowing to political pressure from Democratic politicians who are concerned about having a Democratic President speak out about a racial murder, weeks before the all important Mid Term elections, is NOT why I voted for Barack Hussein Obama, twice. Ignoring the hundreds of murders of Black Americans, mostly Black American males, whom were unarmed and in a position of surrender and submission, is unacceptable to me as a Black male. It’s disgusting when a caucasian President ignores that issue. It’s the worst feeling in the soul and heart when a President who is a person of color ignores it, who happened to campaign on “Hope & Change”, and allows that Black genocide to continue. There are a total of 380 names listed here since January 1st, 2015. 91 names for January. 85 names for February. 115 names for March. 89 so far for April with 3 days left in this month. 12 deaths are not mentioned by name above because police didn’t release the victims names. 120 total days for the calendar year 2015, divided into 380 Killed By Police comes to 3.1666666667 dead humans Killed By Police DAILY. A combination of caucasians, women, men, Blacks, Hispanics, Asians, Africans, straight, LGBTQA1, Europeans, young (12 & 7), old (77 & 88). 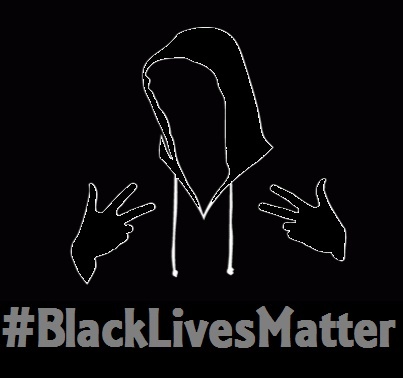 You thought this was just about #BlackLivesMatter……didn’t you.